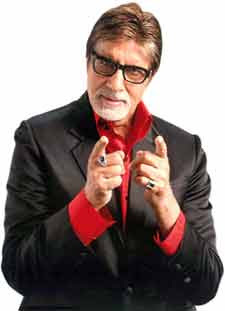 Bollywood megastar Amitabh Bachchan seems to be irked by constant copyright infringements and the illegal use of his name for the promotion of products. "The morning till now has been full of incidents related to copyright protection, for, there have been greater examples and infringements being discovered," he added. The actor explained how a company selling basmati rice called Lakshmi Foods has done an exact imagery of his reality show "Kaun Banega Crorepati" in an advertisement. "The set, the computers, the questions, the contestant being asked from an over the shoulder shot, in suggestion and the voice being used again to ask a question on the product being marketed... this is so unethical and legally wrong," he wrote. "Another huge infringement has taken place concerning Airtel, the mobile and telephone carrier, about yours truly and the opportunity to be able to talk to me for a fee. This is simply unacceptable, there is no signed deal at all for this and on questioning they inform through our Vog managers that it has been a mistake!"